The Phil's Tavern in Blue Bell (931 Butler Pike, 215-643-5664) has rolled out a new gluten-free menu with appetizers, salads, sandwiches, entrees and more. Advise your server of your dietary request. Reader Denise F. let me know about several other Montgomery County spots that offer gluten-free options. The Victorian Village Italian Bistro in Hatboro (420 S. York Rd., 215-394-5948) has gluten-free spaghetti and ziti plates, grilled chicken Parmigiana and other dishes on its menu. Just down the road, Hatboro Dish (102 S. York Rd., 215-347-0036) has breakfast sandwiches on gluten-free Sweet Note bagels and pizza, both of which can be prepared separately upon request. Ben & Irv's in Huntingdon Valley (1962 Country Line Rd., 215-355-2000) also has Sweet Note's bagels as well as bread, cookies and pancakes; request that the pancakes be made on a separate part of the grill. On the Gluten Free Philly Facebook page, reader Dina D. wrote this week that the new vegan bar/restaurant Charlie was a sinner. in the Midtown Village section of Philadelphia (131 S. 13th St., 267-758-5372) is extremely gluten-free-friendly. 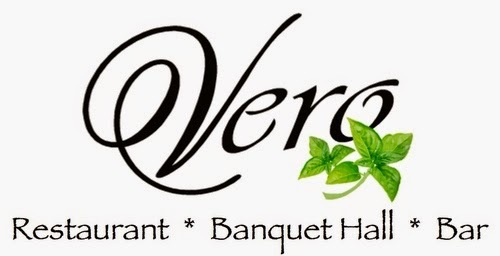 Italian restaurant Vero in Wilmington (1300 Centerville Rd., 302-995-6955) has gluten-free spaghetti and penne (prepared in separate water) and can modify other dishes. Bar 1929 at Woodcrest Country Club (300 E. Evesham Rd., 856-429-4300), which is open to the public, offers several salads, gluten-free fusilli and flatbreads. Gluten-free bread is offered at Fitzpatrick's Deli in Somers Point (650 New Rd., 609-653-8155). 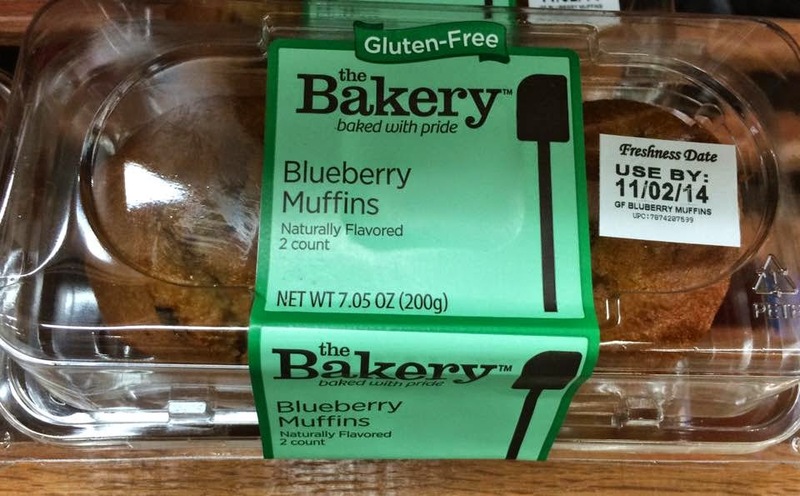 I don't know how widely available they are, but the Walmart in Somerdale, Camden County is carrying fresh gluten-free chocolate chip cookies, blueberry muffins and chocolate brownies in the bakery section. According to the labels, the products are baked in Canada. Today is Halloween, and the Celiac Disease Foundation has published a holiday candy list for 2014 that's linked to in Tuesday's post. With Thanksgiving around the corner, it's not too early to pre-order gluten-free baked goods. Philadelphia's Fair Food Farmstead, a non-profit-all-local grocery store located at Reading Terminal Market, is offering tarts from 100%-gluten-free Brûlée Bakery that can be picked up at the Market. 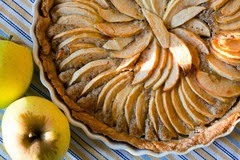 Varieties include French Apple Almond, Maple Pumpkin and Bourbon Pecan. Just tried the GF brownies from Walmart bakery. AMAZING find!! Unbelievable texture and taste. Great job Walmart!! Thank-you.